It is your responsibility to review GlassesGallery.ca and the General Terms and Conditions periodically for any updates or changes. Your continued access or use of GlassesGallery.ca shall be deemed to be your acceptance of these changes and of the reasonableness of these standards for notice of changes. Any conduct by you that in our sole discretion restricts or inhibits any other users from using or enjoying GlassesGallery.ca will not be permitted. You agree to use GlassesGallery.ca only for lawful purposes. You agree not to post or transmit to GlassesGallery.ca any material which is unlawful, harmful, threatening, abusive, harassing, defamatory, vulgar, obscene, offensive, indecent, sexually explicit, profane, hateful, fraudulent, racially, ethnically, or otherwise objectionable of any kind, including but not limited to any material that encourages conduct that would constitute a criminal offense, give rise to civil liability, or otherwise prohibited by any applicable local, state, national, or international law of any relevant country in the world. You agree not to reproduce, duplicate, copy, sell, resell or exploit for any commercial purposes any portion of GlassesGallery.ca, use of GlassesGallery.ca, or access of GlassesGallery.ca unless you first obtain our express written consent to do so. You agree not to provide any material to any third party without express written consent of GlassesGallery.ca. You agree not to access GlassesGallery.ca by any means other than through the interface that is provided by us for use in accessing GlassesGallery.ca. You agree to not attempt to "hack" GlassesGallery.ca or any other websites you do not own. This includes but is not limited to, trying to guess user passwords, "phishing", accessing "hidden" URLs, attempting to trigger remote code for the purpose of accessing data or material you would not otherwise have access to. You agree that GlassesGallery.ca owes no royalty or license fee to you or any third party for use of material which is posted or transmitted to GlassesGallery.ca. GlassesGallery.ca reserves the right to remove or edit content of such material and is free to copy or use such material for both commercial and non-commercial purposes. You hereby certify that you have a valid prescription for the eyeglasses that you are ordering. You warrant that your prescription is used in accordance with the guidance of your eye care provider and by placing an order with GlassesGallery.ca that the information you entered is valid, true, and correct. You further certify that your prescription has not expired, and you will renew your prescription in strict accordance with your eye care provider’s suggested regime. You understand that GlassesGallery.ca will not fulfill your order unless you have a valid prescription. You hereby agree that GlassesGallery.ca and/or its representatives or affiliated partners in the Web-to-Store program may contact your eye care provider identified on the prescription, with questions, comments or concerns regarding your prescription. GlassesGallery.ca and/or its representatives may also request from your eye care provider to provide GlassesGallery.ca with a copy of your original prescription, if necessary, to verify your prescription information and/or discuss your prescription. We have made every effort to describe and display as accurately as possible the colours, the designs and the material used for production of products being featured on GlassesGallery.ca. However, the images are a representation only, the actual colours and the clarity of the photos of our products you see may differ to the represented images; it will depend on your monitor and we cannot guarantee that your monitor’s display of any colour will be accurate. We also cannot guarantee that the images of the products featured at GlassesGallery.ca have depicted every detail of the products. We have attempted to be as accurate as possible. However, we do not warrant that the product descriptions are accurate, complete, reliable, current, or error-free. If a product offered by GlassesGallery.ca is not as described, you may return it for refund in unused condition with full contents to GlassesGallery.ca. We ensure that our lenses are crafted to the exact specifications provided by you. The lens thickness is determined by your prescription power. Typically, the higher the index, the thinner the lenses will be. Lenses in Standard Fit are recommended for prescription of power range of -2.50 to +2.50. Outside of this range up to -4.00, we recommend using thin fit lenses with an overcharge of CAD $40. If the range is from - 6.00 to +6.00 we recommend a comfort fit index with an overcharge of CAD $80. And over +-6.00 Dioptric we strongly recommend using our Optimal Fit to have the best thickness for an additional CAD $135. 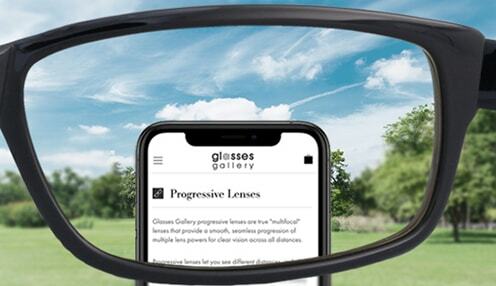 GlassesGallery.ca reserves the right to select the index value for each order (including those purchased during a promotion) at their discretion, and should an upgrade be deemed necessary, a customer service representative will contact you. 1. As a GlassesGallery.ca customer, you can have professional services by an affiliated independent optometrist at any Hudson’s Bay Optical location where such services are available. You may also book an appointment for an eye exam online by clicking on the “Book an Appointment with an Optometrist” link during checkout. 2. As a GlassesGallery.ca customer, you can have professional services by an affiliated independent optician at any Hudson’s Bay Optical location. You may also book an appointment with an optician online by choosing the store pickup option. 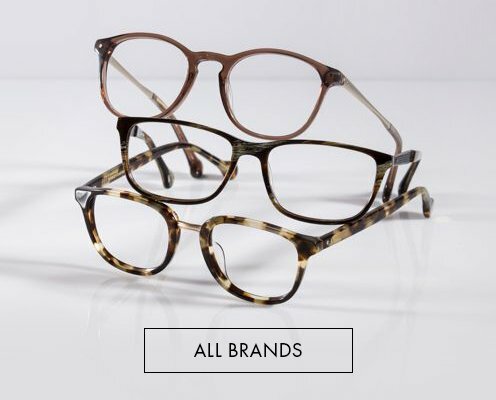 Important notice: Hudson’s Bay Optical and GlassesGallery.ca are not owned or managed by thebay.com or Hudson’s Bay Ltd. Hudson’s Bay Optical is an affiliated licensee that offers optical services for the Store Pickup services. An extended warranty may be purchased when you pick up your glasses at any of the store pickup locations. The Extended Warranty needs to be added and the appointment must be booked before you complete your payment online. 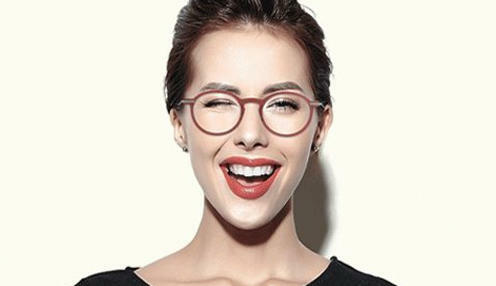 The extended warranty offers a 1-year full warranty on frames and lenses including accidental breakage (not including partial or complete loss of eyeglasses), and the right to exchange your frame during the initial visit with the in-store optician. A deductible amount is payable by the Warranty holder and represents 20% of the amount of the value of the replacement parts. In other words, it is 20% of the total regular price (before discounts) for the replacement of the frame and/or 20% of the total regular price (before discounts) of the prescription lenses being replaced. The Warranty holder agrees to pay 20% of the amount when the order under warranty is recorded and GlassesGallery.ca will cover the remaining 80%. Please note that it is the customer's responsibility to bring the glasses to the Hudson’s Bay Optical affiliated store where the order was delivered with the Web-to-Store Pickup option. Online purchases have a 14-day Satisfaction Guarantee. You may purchase an Extended Warranty in store when you choose the store pickup option. This offers a 1-year full warranty on frames and lenses including accidental breakage (not including partial or complete loss of eyeglasses), and the right to exchange your frame during the initial visit with the in-store optician. 1. You may apply for a return or exchange for an undamaged and unused item within 14 calendar days following the reception of your order. 2.1. Online Credit Refund. For web only credit refunds, you are eligible to receive 100% of the purchase amount (excluding shipping fees). You must contact our CS team at return@glassesgallery.ca to obtain a return RMA number before returning your glasses. If you elect to receive an online credit, the applicable credit is valid for 90 days from issue and may only be used towards a single transaction. Any unused credit from either the transaction or within the 90-day period is deemed forfeited. 2.2. Credit Card or PayPal Refund. 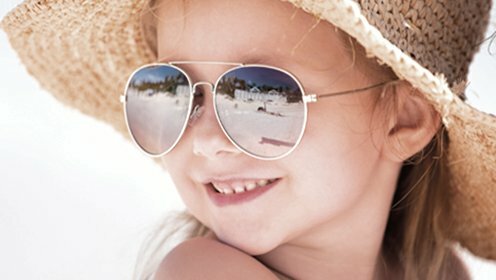 For refunds issued to a credit card or PayPal account for a purchase of a frame only without lenses, a CAD $20 re-stocking fee will be deducted from the refund amount. Shipping charges are non-refundable. For refunds on prescription glasses, a CAD $20 frame re-stocking fee plus 50% of the purchase price of lenses (shown on the invoice) or CAD $50 (whichever is higher) will be charged for every returned item including those purchased during promotional events. 3. You may exchange each item a single time within 14 days after delivery. All returned items must be undamaged and unused (with the Glasses Gallery tag attached to the frame), in their original and saleable condition and original packaging. 4. Customers are responsible for shipping back the return order to us. Contact our customer service at return@glassesgallery.ca, and we will provide you an RMA number. No returns are accepted without an RMA number. Customers are requested to indicate the reason for the return on the RMA form. 5. Customers are responsible for the return shipping to the address provided on the RMA (Return Merchandise Authorization) If you do not have an RMA, please contact us at return@glassesgallery.ca. Upon receiving the item, we will refund CAD $10 for shipping costs on the same method of payment used for the purchase. 6. Please allow up to 30 days from when we receive the item for the refund to appear on your credit card trough RBC/Moneris or PayPal account. 7. GlassesGallery.ca will provide standard shipping with Canada Post at no extra charge for all items purchased via online credit. Customers can also opt for express shipping. Please refer to the table for shipping charges. Please refer to the table of shipping charges. 8. Please note that it is the customer's responsibility to return the glasses and provide us with the return shipping tracking information. Furthermore, a picture of the damage to the item is required to process a warranty claim. 2. The RMA number, found at the top of your RMA form, must be included in the returned package. Any returned items that are not accompanied by an official RMA number will not be accepted. 3. A member of our customer support team will respond upon receipt of your exchange or return request and follow up the process with a confirmation of acceptance or denial. 4. You are required to provide us with a tracking number for your returned item(s). 5. A picture of the damage to the item is required to process a warranty claim. 6. Products returned for exchanges or returns must be undamaged and unused (with Glasses Gallery tag attached to the frame) and in the re-sealable packaging provided with them (no open packages). 7. Exchanges and returns will only be processed once the returned item is received at our facilities. 8. Shipping costs for your purchases are non-refundable. 9. In the event where your return request has been denied, you will be responsible for the shipping cost to have your returned package sent back to the shipping address you provided. 10. We may refuse to accept future orders from those who have made previous unsubstantiated claims for non-delivery of goods. Exchanges and returns can only be submitted within the first 14 calendar days of receiving the original item. All warranty credits are non-refundable. At Glasses Gallery, we offer FREE SHIPPING* across Canada (except for certain remote postal codes) on qualifying purchases with a minimum order. This free standard shipping option means your glasses are delivered within 10 - 21 business days. We also provide EXPRESS DELIVERY for a nominal fee. Shipping time does not include production time, which varies according to the type of lenses you order for your glasses. * A minimum order of $129 is required to qualify for FREE Standard Shipping; otherwise a $5 charge will apply. FREE Shipping excludes some Postal Code limitations in Yukon, Northwest Territories, Nunavut, and Newfoundland where a fee of $10 will be added to the order. • Order(s) will be delivered to the address specified on the order form only after payment is fully received and production of lenses is completed. • Order(s) will be shipped using your choice of shipping option (please refer to Table 2 for the estimated shipping time). • Any taxes are the responsibility of the customer. • Once the order is shipped from GlassesGallery.ca, it is no longer the responsibility of GlassesGallery.ca. • Once the order is shipped for production from GlassesGallery.ca, it is no longer possible to make changes, even if you contact us within 2 hours, whether on the prescription or regarding any information, or to cancel your order. • Delays caused by courier companies will be handled in a timely manner but are not the responsibility of GlassesGallery.ca. • Order production may be delayed when insufficient / inaccurate information is provided by the customer. • We ensure that the lenses ordered via GlassesGallery.ca adhere to the highest ISO9001 quality standard. • FREE Shipping is only applicable to Standard Shipping and requires a minimum purchase amount. • Under rare situations where our production is delayed, the customer will be notified with an estimated shipping time. • The estimated shipping time is provided by the shipping couriers. If you have any enquiries regarding the estimated time, please do not hesitate to contact the courier directly. • Please be aware that shipping time may be affected by different factors such as weather, peak season and transportation situation. It is not our responsibility and you will need to contact the respective courier on your own for information about the shipping status. • If you booked an appointment online with an affiliated optometrist or optician, you will receive an email confirmation or direct call from an associate from the store you selected in order to confirm the appointment. • When you choose the Web-to-Store Pickup delivery option, your order will be shipped free of charge to the Hudson’s Bay Optical affiliated store you’ve selected during checkout. GlassesGallery.ca and other graphics, logos, and service names used on GlassesGallery.ca are trademarks of GlassesGallery.ca. All other brands and names (including third-party product names) are the property of their respective owners. GlassesGallery.ca is owned by Digital Glasses Gallery, a British Columbia limited company with a head office in BC, Canada. Hudson’s Bay Optical is not affiliated to thebay.com or Hudson’s Bay Company. It is an independent licensee only. When you visit GlassesGallery.ca, create an account with us, or send e-mails to us, you are communicating with us electronically. You consent to us sending you e-mails. You agree that all agreements, notices, disclosures and other communications we provide to you electronically satisfy any legal requirement that such communications be in writing. If you wish to receive our newsletter, we will use your name and e-mail address provided to send it to you. You may choose to opt-out of receiving our newsletter any time by simply clicking the unsubscribe button located on the bottom of our email. This contract is personal to you. You may not transfer the contract to any other persons. We may transfer, assign or subcontract your contract or part of the contract to any third person or company. For details, please refer to Privacy Statement. For details, please refer to Disclaimer Statement. Outbound links from GlassesGallery.ca are provided for your convenience. GlassesGallery.ca has not reviewed the websites in specific detail; the websites are not under the control of GlassesGallery.ca although we did our best to review any details. You agree to access these links at your own risk. In no event shall GlassesGallery.ca, its officers, directors, employees, agents, affiliates, licensors, suppliers, or contractors, be responsible for the contents of any linked website or any link contained in a linked website or for any changes or updates to such websites. 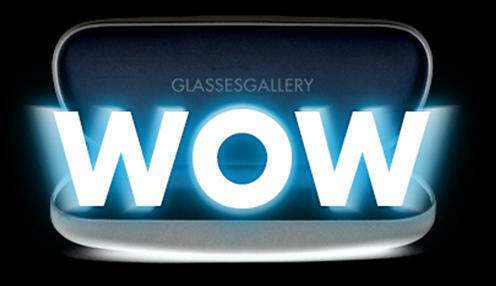 Inclusion of a link is for your convenience only and does not imply any endorsement by GlassesGallery.ca. You are responsible to comply with the terms and conditions of use of any linked website. Upon request, through our Customer Support Office, we will be happy to provide you with a 1-800 toll-free phone number to talk with us directly. You may also provide us with a contact number and one of our Associates will contact you directly by phone.